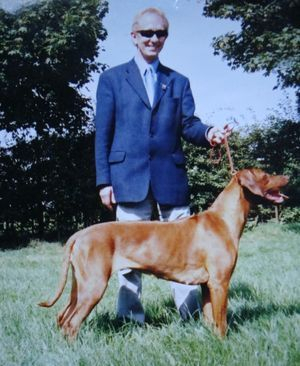 Gabby was the first liver nosed import into the UK to become a UK Champion, and only the second liver nose Champion in the UK - both having been campaigned by the Sonstraal Kennel. 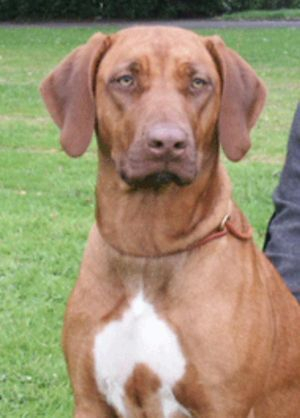 A larger than life character who was always up to mischief living up to the liver nose trait, a favourite pastime being chewing the buttons off your jacket without you knowing! She was a noisy girl, who was so loving and loyal. She won a total of 3 Challenge Certificates and 3 Reserve Challenge Certificates. She produced a UK Champion in CH Sonstraal Gabe's Prospect at Sescheke JW ShCM, and daughter Sonstraal Gabby Anny of Gabisa is a RCC winner. 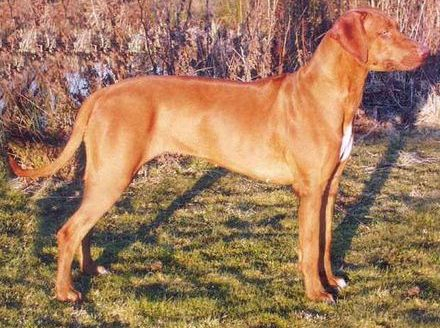 Gabby was owned in partnership with Tom Johnston and the Sonstraal Kennel.